I’m guilty. I always think the grass is greener on the other side. But it never is… completely. Every yard has a few weeds and requires maintainance. How about you? What are some things in your life that you thought would make you happy but haven’t quite filled you up? Have you wanted to quit your job only to miss working? 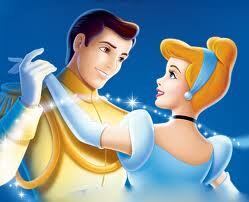 Has marriage been everything Cinderella promised? For those with children, has motherhood been as endearing as you had thought? I realize some of you reading actually have been thrilled to quit your job. Some live in marital bliss, and a few (maybe a lot) of you love changing dirty diapers and dealing with the terrible 2’s every hour of every day as a stay-at-home mom. If you are one of those women, you may not need to read this book except there is one hitch that might keep you reading. Even if your life is hunk-dory today, seasons change. One day I woke up and realized I couldn’t even remember my dreams. I had lost myself somewhere a long the way. Somehow the hopes and dreams I had as a child were pushed down so deep they no longer could breathe. Even blessings can suffocate dreams. But through Psalm 37 God began to teach me that He has more than one dream for His children. He has many. And those dreams give us purpose even if they are very small. This is the beginning of my next book. What do you think? Would you want to read it?